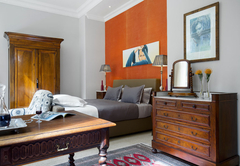 21 Nettleton is a Clifton hotel providing accommodation in 8 guest rooms for tourists visiting the Atlantic Seaboard region. 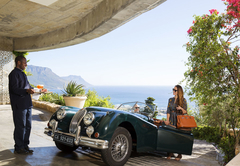 A boutique hotel perfectly placed against the slopes of Table Mountain’s Lion Heads in the world-renowned suburb, Clifton. 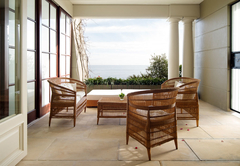 21 Nettleton boasts uninterrupted panoramic views of the Atlantic Ocean, 12 Apostles, Table Mountain and Lions Head. 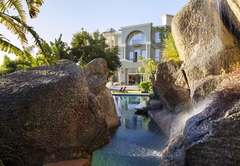 Our gardens with their granite boulders, swimming pool and terraces, offer tranquillity in an undisturbed setting. 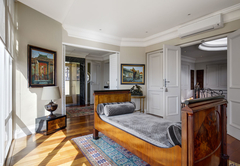 With the back opening onto the Table Mountain Nature Reserve, a World Heritage Suite, this allows our guests private access to the hiking trails up Lion’s Head, Signal Hill and Table Mountain. 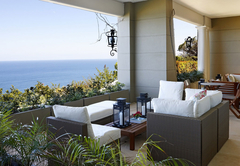 Guests can relax by the swimming pool and sun loungers, enjoy the large garden or a cycle along the Atlantic Seaboard. With the attractive décor, private decks, serene landscape and exclusive suites, the team at 21 Nettleton craft ventures entirely for you and ensure a captivating experience. 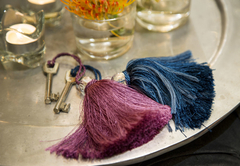 We offer a small number of private and individually styled suites, each appointed with the finest modern amenities and ideally placed to appreciate the views and stunning landscape. 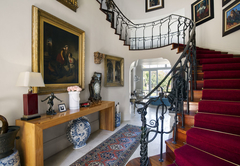 This is a vibrant, warm and intimate space that overlooks Lions Head Nature Reserve. 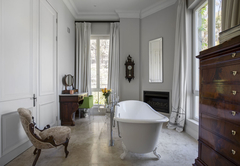 The suite is located one floor up from the main garden and features a side sea view from the bathroom, but no terrace or balcony. 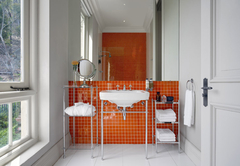 The suite features a King-size bed and an en-suite bathroom with shower above the bath. 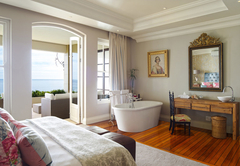 An elegantly styled suite complete with beautiful art and antique furniture overlooking the ocean and 12 Apostles. This spacious suite features a super King-size bed (or two singles) and a beautiful open plan bath area including a bathtub and walk-in shower. 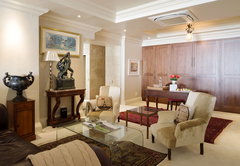 A private lounge and bar area is shared with the Queen suite. 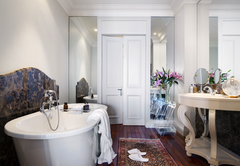 A romantic suite with charming and enticing décor and a feature bath in the bedroom. 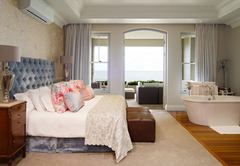 The suite features a King-size bed, a separate en-suite bathroom with walk-in shower, a desk area and a spacious terrace with uninterrupted panoramic views of the ocean and 12 Apostles. 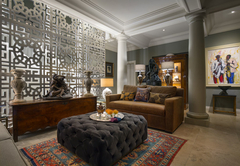 A private lounge and bar area is shared with the King suite. A spacious and classic styled suite ideal for a family with two children and boasts a King-size bed and en-suite bathroom with his and hers wash basins, a separate dressing room, private lounge area as well as a large private terrace with sensational mountain and ocean views. 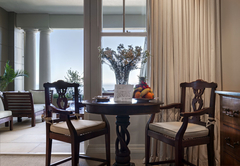 This well-appointed, expansive and luxurious suite boasts magnificent infinite views of the ocean and 12 Apostles. 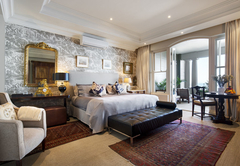 The suite features a King-size bed and views of the gardens from the main bedroom, a spacious en-suite bathroom which is centred around a large bathtub, a cosy fireplace, a Steinway grand piano, a private library and spacious lounge as well as a large private terrace overlooking the beautiful scenery. 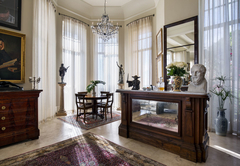 The penthouse suite assures an epitome of privacy with a command over the entire mansion on the top floor. 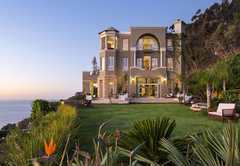 This opulent and magnificent penthouse boasts panoramic ocean and mountain views and features a King-size bed, two bathrooms, indoor and balcony dining areas, drawing room with fireplace, separate lounge and daybed relaxation area, in-room bar as well as an exclusive snack bar. 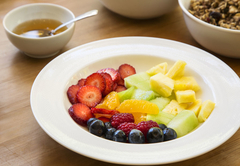 The rates quoted are on a bed and breakfast basis however one can still enjoy a lazy lunch, intimate dinner or private barbeque on one of the many terraces, patios, balconies and dining areas. 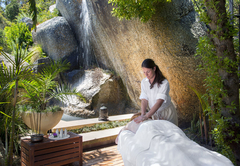 A romantic picnic can also be arranged in a secluded spot in the gardens. We are a mere 10 minutes away from Cape Town’s Victoria & Alfred Waterfront, Table Mountain and the city center, yet away from the hustle and bustle of the city streets. 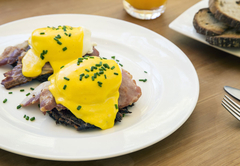 Explore the city and surrounds by day and escape to the tranquillity of 21 Nettleton. This opulent and magnificent 250 sqm penthouse boasts 360-degree views, with two bathrooms, indoor and balcony dining, Nespresso station, TV drawing room with fireplace, separate lounge and daybed relaxation space. 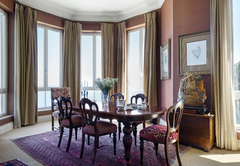 The penthouse suite assures an epitome of privacy with a command over the entire mansion on the top floor. 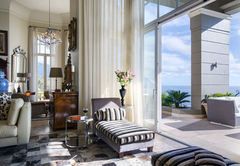 This opulent and magnificent penthouse boasts panoramic ocean and mountain views and features a King-size bed, two bathrooms, indoor and balcony dining areas, drawing room with fireplace, separate lounge and daybed relaxation area, in-room bar as well as an exclusive snack bar. 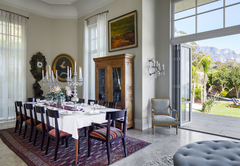 A vibrant, warm and intimate space, with a modern and antique ensemble overlooking Lions Head Nature Reserve. 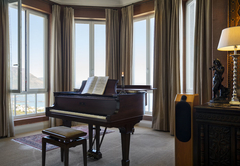 The suite is located one floor up from the main garden and features a side sea view from the bathroom, but no terrace or balcony. 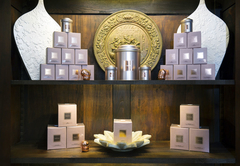 Exclusive use of Lion's Head Room, King Room, Queen Suite and Emperor Suite. Excluding the Steinway Suite. 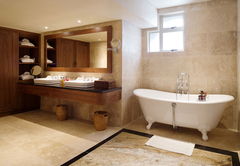 All suites feature king or queen sized beds with an en-suite bathroom. Children of all ages are welcome. 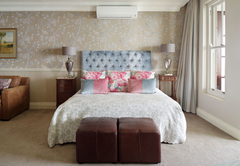 Exclusive use of all six suites, the pool, sauna, steam room, lounges, terraces and the other facilities of 21 Nettleton. 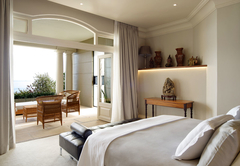 All suites feature a queen or king sized bed with en-suite bathroom. Children of all ages are welcome. Response time21 Nettleton typically responds to requests in 5-10 minutes. Child policyChildren over the age of 13 are welcome.